I enjoy being a member of the UK Herb Society and am pleased to be able to have articles published by them from time to time. Here is the first part of an article published in the December issue of Herbs magazine in the new craft section. 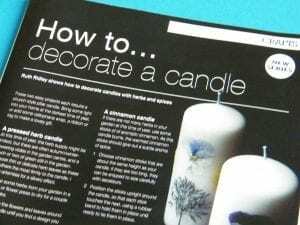 These two easy projects each require a church-style pillar candle. Bring some light into your home at the darkest time of year, or add some cellophane wrap, a ribbon or tag to make a lovely gift. At this time of year, the fresh herb supply might be limited, but there are often Autumn/Winter flowering violas in the garden centre, and a touch or two of green still in the garden. 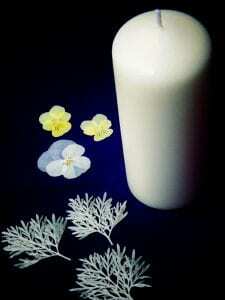 Choose thin or delicate herb leaves as these will adhere the most firmly to the candle. I chose artemisia leaves for a silvery effect. Make some pressed flowers and leaves: press some herbs from your garden in a book or flower press to dry for a couple of weeks. 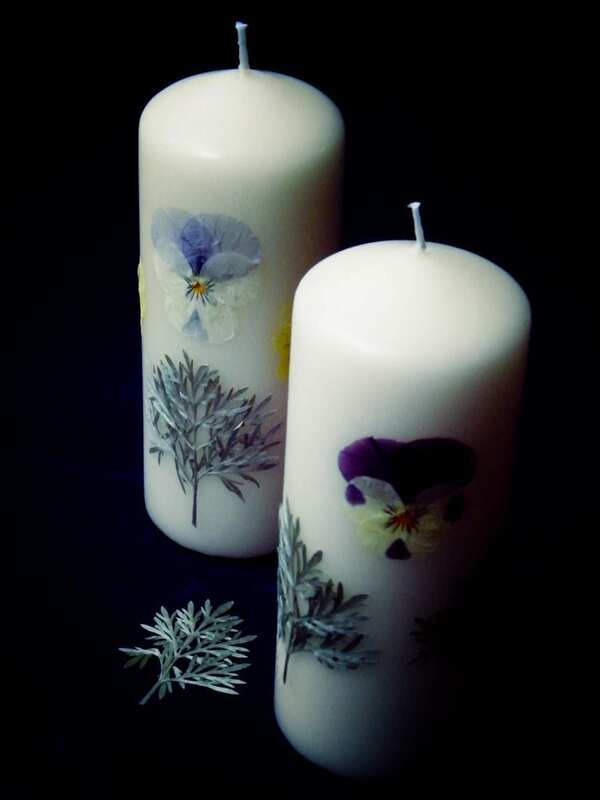 Position the flowers and leaves around your candle until you find a design you like. Prepare a jug of piping hot water. One at a time attach the herbs to the candle. 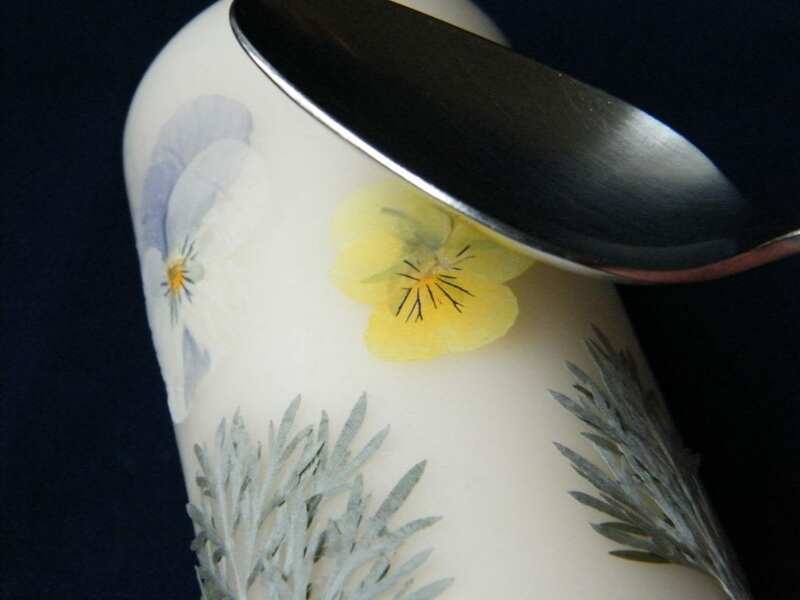 No glue is needed: simply heat a dessert spoon in the water, dry, then use the back of the spoon to press the herb into the candle wax. Use a rubbing motion to make sure the plant material is evenly attached. Re-heat the spoon as necessary to complete the design. Join the UK Herb Society by downloading a membership leaflet (see link top right of new page). Buy pressed flowers such as violas and herb leaves.